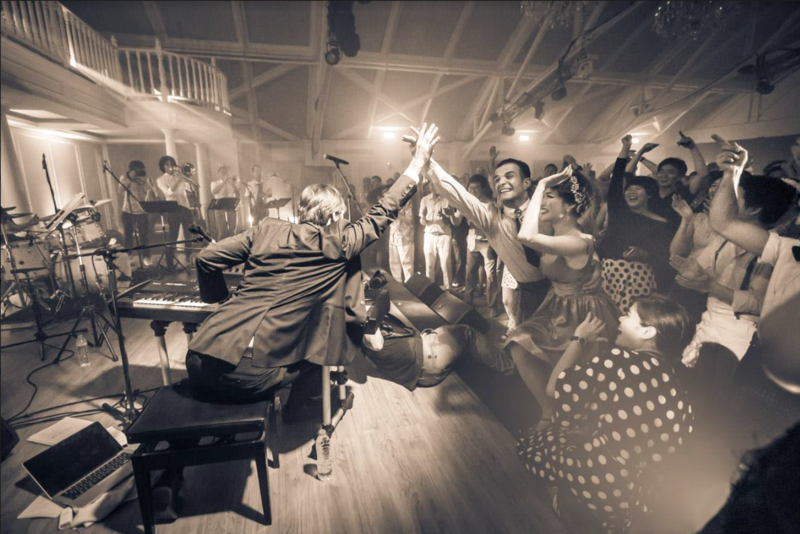 A jazzman with a rock star status in swing dancing community – pianist Gordon Webster is the most sought after musicians in the lindy hop world. His tremendous musicianship and passion, supported by his first-hand knowledge of social dancing, have inspired lindy hoppers at hundreds of dance events worldwide. Drawing on influences as diverse as Fats Waller, Count Basie, Oscar Peterson and Gene Harris, Webster serves up a smorgasbord of styles unified by one characteristic: irresistible danceability. Gordon lives in New York City, enjoying an active career on the New York jazz scene, where he has performed with a long list of jazz artists including Grant Green Jr., Wycliffe Gordon, Donny McCaslin, Ron McClure, Chris Potter, Joel Frahm, and Jim Black among others. His playing has been showcased in various New York City venues including the Blue Note, Sweet Rhythm, The Iridium, The Cutting Room, Cleopatra’s Needle, Makor, Mannahatta Lounge, Kavehaz, St. Nick’s Pub, Night and Day, and Dizzy’s Club Coca-Cola (Jazz at Lincoln Center). He has performed in Japan, Korea, Hong Kong, Singapore, France, Australia, and throughout the United States and Canada at international jazz festivals, jazz clubs, and dancing events including lindy exchanges, workshops and camps.